If a removable hardtop is not a feature you covet, the next best thing to owning a Jeep Wrangler is owning the 2011 Nissan Xterra. The Xterra's interior is more civilized than the Jeep's, not to mention quieter. My silver Xterra is an excellent example! I have owned my Xterra for seven years and have no issues with anything. Comfort level is fantastic for short and longer travels, visibility it is great since I am 5'2"and can see workout any problems over the hood and out the spacious back window, gas mileage is adequate for a larger SUV, handling on the roads, whether they be interstate or exploring in the wilderness is excellent, and the paint job had worked the passage of time as well as stopped and got AZ weather! 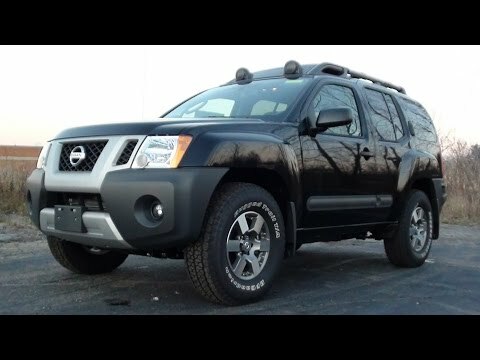 Xterra 2011: stylish and reliable- the perfect vehicle for the college student. The Xterra 2011 is an incredibly reliable vehicle- good on all terrains, in the rain, and through the snow (it has 4-wheel drive). In seven years, I have not experienced any difficulty with vehicle other than replacing a car battery. My only complaints would be that the radio/stereo system is weak and that the vehicle is slightly top-heavy. I really love my Xterra. Great vehicle inside and out. I have had no issues with my vehicle. Very comfortable riding. Looks stylish and is very dependable. Seats fold down to haul big items. When looking right, I have had to remove the passenger headrest as it does obstruct my view at times. Noise level. Is low. Air and heat work well.